What a difficult post this is to write! 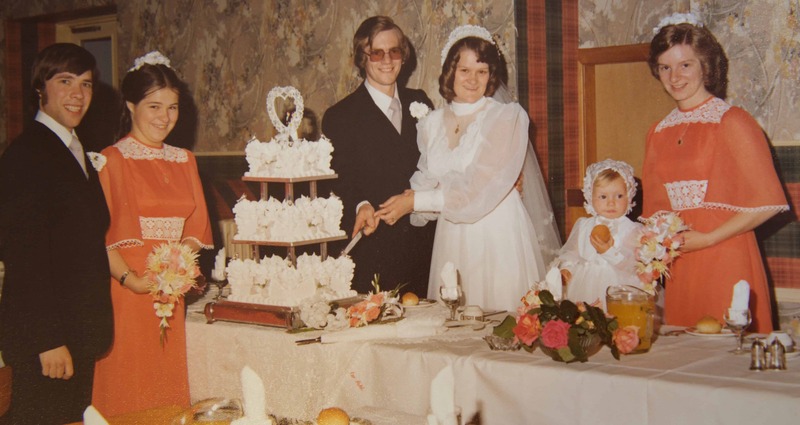 I want to take this opportunity to make a few short comments about Paula who was the flower girl at our wedding in 1977. 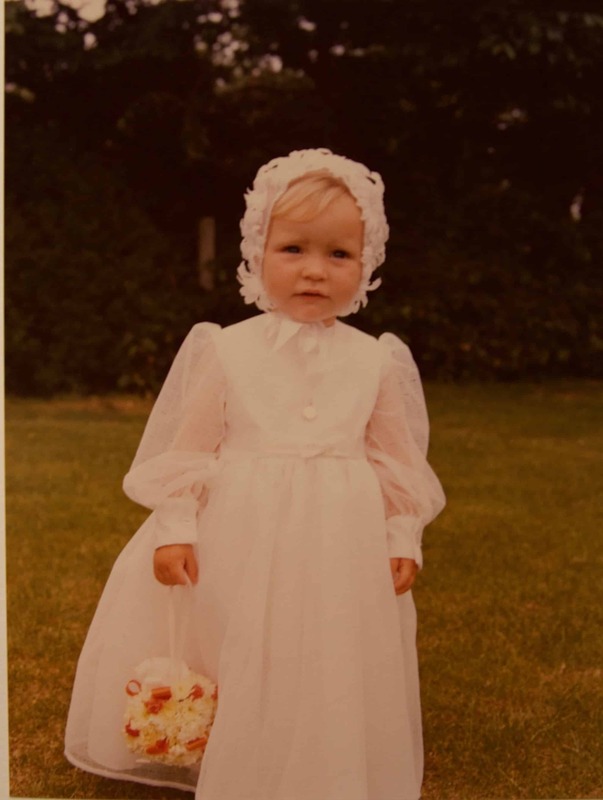 She performed her duties on that occasion brilliantly – she on many occasions throughout the day “stole the show” – she looked so cute in her white dress and head dress. See the following photo where Paula was already getting stuck into a bun, getting a bit tired of the endless photos that weddings entail. In the years ahead she was to grow up to become a lovely young lady, and eventually to marry and have a family of her own. We would meet her at holiday times and every christmas when we would be together with the family to exchange christmas presents and seasonal good wishes. She always had a smile on her face and was a perfect mother with her two children showing total respect for her. 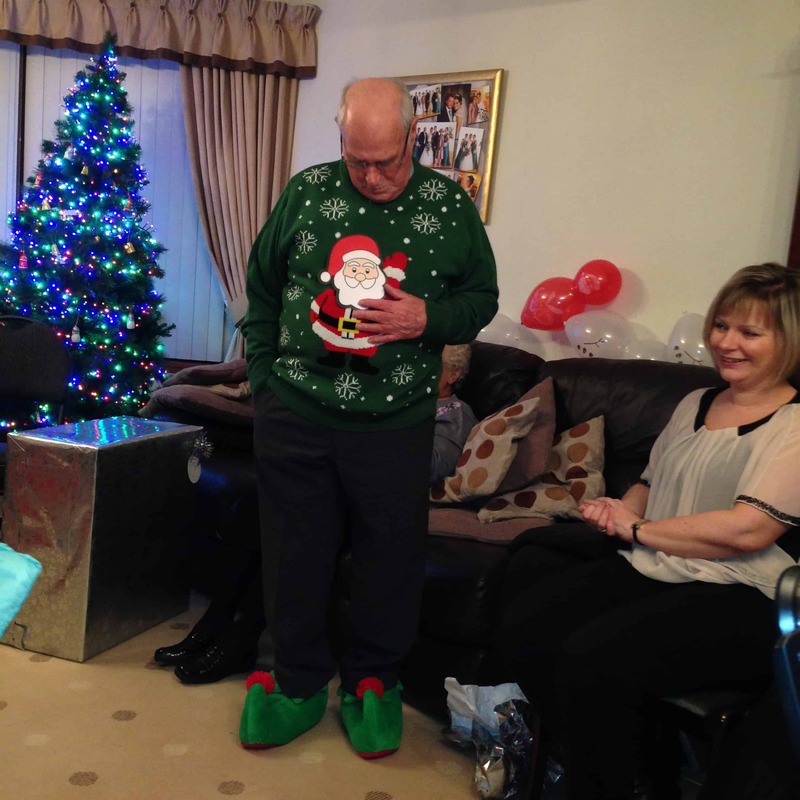 The following photo shows her at the edge of the photo when Granda was trying on his christmas jumper and slippers!!! Sadly, she was to fall ill with cancer – this was to bring out some remarkable aspects of her personality and character. Paula showed amazing resilience and proved to be a fighter as she underwent treatment for her condition. During her illness we heard much more of her than we had in previous years. We heard every few days about her progress as she underwent various treatments and we wondered at her positive response as she dealt with the inevitable side effects of the various treatments she was to undergo. Paula maintained a positive outlook throughout this difficult period. 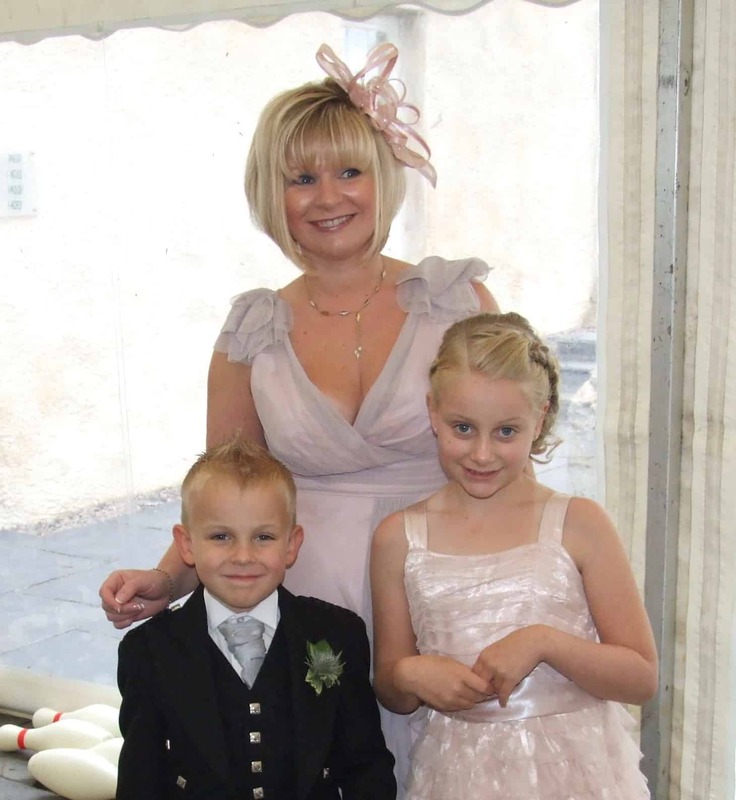 She exhibited remarkable resilience and courage at all times and always was concerned about maintaining normality for her two children. She was so proud of them and they are a real credit to her and Ian. 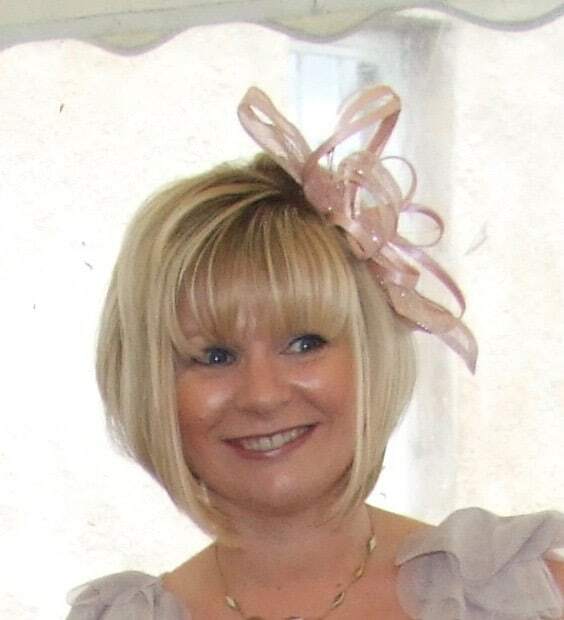 Paula will I know will be sorely missed by her close family, husband Ian, children Emily and Joe and of course her Mum and Dad and brother. All of these people have walked closely with her as she worked through the period of just over a year since her illness was first diagnosed. Cancer is a devastating illness which all too often is terminal – it is hard to imagine what it can be like to watch your own wife, daughter, mother going through all that it entails. I have special thoughts for her close family both now and in the days and months ahead as they come to terms with this momentous loss. Paula I will miss seeing your lovely smile but I feel that your legacy will live on through your children. We have prayed for you throughout your time of struggle and even now it is hard to accept that your time with us has come to an end. You have left far to soon – but we are also so grateful to have had you in our lives and will remember forever your beautiful smile, witty sense of humour and not least the courage and strength you showed while you struggled to overcome your illness. Rest in Peace Paula – Mizpah. James MacKay passed away on the evening of 17th June 2016 after a prolonged struggle with cancer. I consider him to been a good friend and encourager since I have had the pleasure to know him which goes back to the time when he and his wife Mary started to attend Kemnay Parish Church many years ago. James was often in church early on Sunday morning when the Praise Band would be doing last minute practice/preparations for the morning service. He would come to accompany and support Mary who plays piano in the band. He often sat at the front of the church during practice and often made positive comments about the bands contribution to the services. 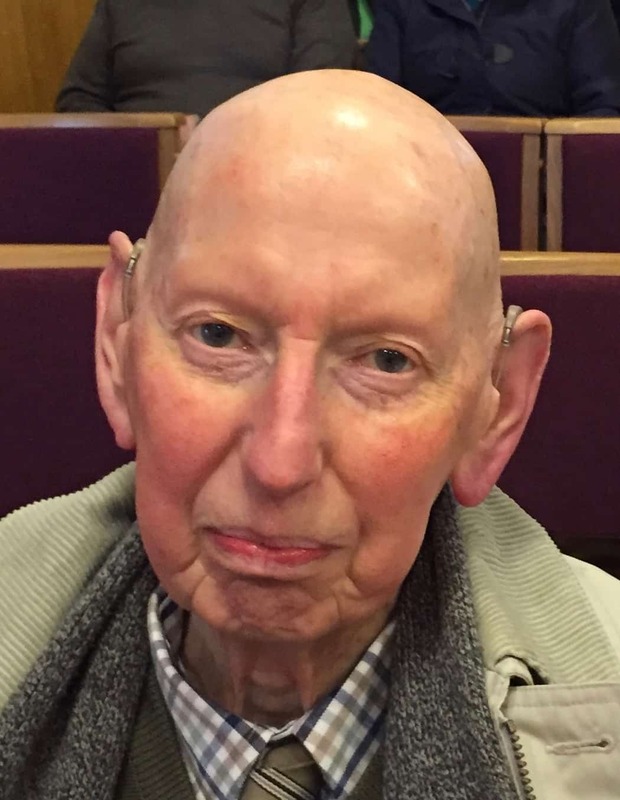 James continued to attend services throughout a period of prolonged illness as he fought the onset and progress of cancer – but throughout this time he always managed to raise a smile and showed interest what was going on in the church. He was a good advocate of appropriate use of modern technology and was one of only a few people who viewed initial attempts to broadcast live video from the church. These tests were performed in order to confirm the feasibility provide a regular service to broadcast services in real time. At the time of writing this post the project called Kemnay Kirk Anything Anywhere is being deployed to make this a reality. He had a very long track record of interest in the outdoors and nature in general. He was a Senior Ballie of Bennachie – see the web site here and author of the Guide the Bennachie and its revisions – the 1993 version of this is still listed on Amazon.com and on AbeBooks here also is the link to the 2013 edition also see the Bennachie Walk published but he Royal Geographic society to which he also provided input. He also features in the following article from BBC news web site about the Bennachie Centre http://news.bbc.co.uk/1/hi/scotland/3867851.stm. James also gets a mention on the Heather Society’s web site see here https://www.heathersociety.org/heathers/calluna-heathers/calluna-b/bennachie-bronze/ where he is credited with finding “Bennachie Bronze” on Bennachie of course. In fact a further exploration of this site reveals other entries featuring James. Further Google searches reveal many more reference to James over a long period of time. 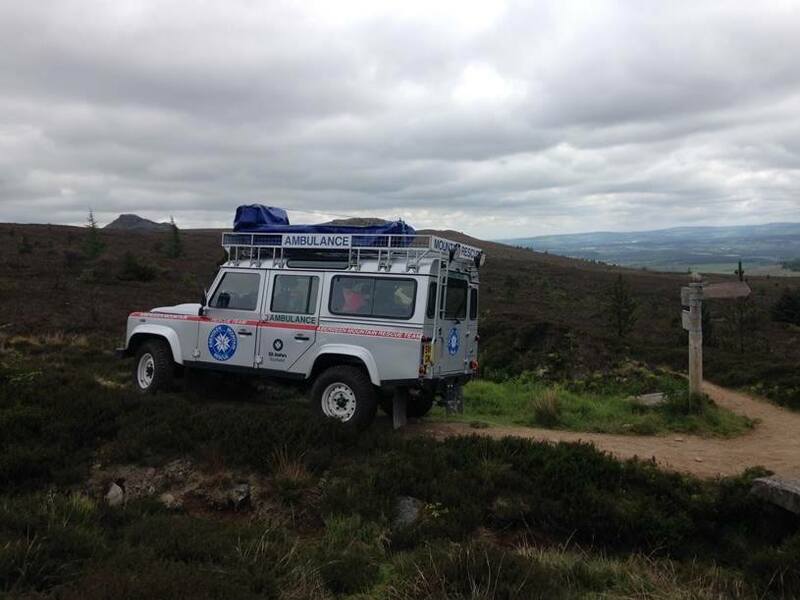 James wanted to ascend Bennachie just one more time to celebrate his 84th birthday and thanks to the Aberdeen Mountain rescue (James was a founding member) he was able to realise this objective – facebook readers can read more about this here facebook post. A wonderful opportunity for a man who has invested so much in the mountain over his lifetime. I intend to remember James as the good friend and encourager he was. I will miss our conversations we had about what can be done with technology to increase the reach of church into community. Rest In Peace James MacKay. 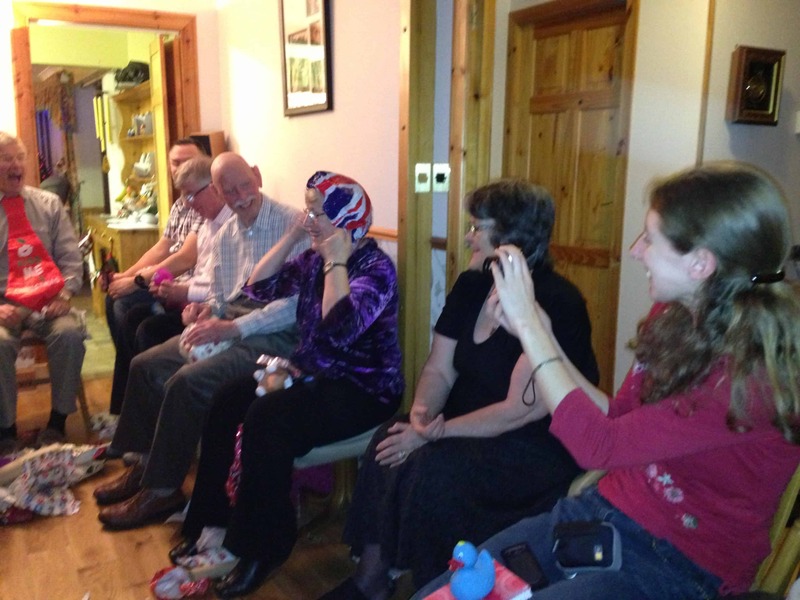 See the following photo which was taken during the 2012 Hogmanay party at 16 Kembhill Park. It is a comfort to know that he is now free from pain and discomfort at peace in the presence of his Lord and Saviour. Quality is not great but you can see James next to Mary who has just won a Union Jack hat prize.